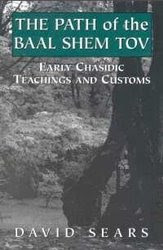 Perhaps the first attempt to create a specific technique not reserved for a spiritual elite was the approach to the daily prayer service conceived by Rabbi Aharon HaKohen of Zelichov. His commentary on the siddur, Kesser Nehora, attempts to summarize the kavanos of the Ari z"l in a way that addresses both the mind and heart. He defines the parameters of "the service of the heart" according to four basic themes: awe of G-d, love of G-d, praise of G-d, and the acceptance of G-d's Kingship (Malkhus). These four categories correspond to the four letters of the essential Divine Name (Y-H-V-H). By praying in the manner he prescribes, one fulfills the Psalmist's words, "I have placed G-d before me always." First published in 1794 together with the Siddur Tefillah Yesharah (his own redaction of the formal prayers according to the Chasidic custom, also known as the "Berditchover Siddur"), Rabbi Aharon's system of kavanos is still used by many Chasidim today. One of the most profound thinkers to develop the Baal Shem Tov's teachings was Rabbi Schneur Zalman of Liadi (1745-1812). His highly intellectual approach came to be known as Chabad Chasidism, borrowing the Kabbalistic acronym for the three sefiros of Chochmah (wisdom), Binah (understanding), and Daas (knowledge). Born of the dispassionate Lithuanian temperament, Chabad distrusted the fervor of many Chasidim as a "delusion of the blood," the self-serving pursuit of an emotional high. Alternately it developed a philosophical-contemplative method by which the seeker might spontaneously experience an intuitive sense of his own nothingness (bittul ha-yesh) and the omnipresence of the Divine. This emotional consequences of such contemplation would be a natural by-product of the quest for unity. In this way, Chabad sought to kindle a steady inner flame in the heart, rather than fan the fires of sporadic -- and possibly false -- ecstasy. The basic practice, still employed by some contemporary devotees of Chabad, entails intensely and systematically contemplating the kabbalistic order of the universe. This is known as the Seder HaHishtalshelus, or "Chain of Being," and the exploration of its intricacies produced a profound literature and a unique spiritual path. The core of these teachings may be found in Rabbi Schneur Zalman's famous Sefer HaTanya, especially in the second section, Sha'ar HaYichud V'HaEmunah. Other key works include Ner Mitzvah V'Torah Ohr and Kuntres HaHispa'alus by Rabbi Sholom Dov Ber of Lubavitch. However, virtually all Chabad texts work out the implications of Rabbi Schneur Zalman's ideas in various contexts. More suspicious of the rational faculty than the founder of Chabad, Rabbi Nachman of Breslov (1772-1810) wanted the individual to attain a realization of G-dliness through the fabric of life itself. He stressed the path of hisbodedus -- secluded self-examination and spontaneous personal prayer. One sets aside one hour every day to pour out his heart to G-d, preferably in a secluded place in the middle of the night. Rabbi Nachman encouraged the seeker to overcome his worldly attachments by stripping away one level after another of the "false self" until all that remains is the subtlest trace of ego -- and then one may let go of this, too, permitting the Infinite Light to shine through at last. This process necessitates reflecting upon one's life circumstances and experiences, especially by using the Torah one has studied (and Rabbi Nachman's discourses in particular) as a springboard for meditation and prayer. A general description of hisbodedus is given in Likutey Moharan 1, 52, and II, 25, as well as in the anthology Hishtapchus HaNefesh (translated into English as "Outpouring of the Soul" by Rabbi Aryeh Kaplan). But actually, the possibilities of hisbodedus are unlimited -- for according to Rabbi Nachman, every aspect of the human condition can be a starting point in one's search for G-d. Rabbi Kalonymus Kalman (Shapira) of Piaseczno (1889-1943), a more recent Chasidic leader who perished in the Warsaw Ghetto, brought an illumination of mysticism to the masses through his innovative educational methods. By imbuing the student (or disciple) with a deep sense of his own essential nature, the Piaseczno Rebbe initiates him into Torah study, prayer, and the performance of mitzvos by using visualization techniques. These improvisational kavanos are sometimes derived from the Kabbalah, but avoid its more esoteric aspects. The Piaseczno Rebbe's ultimate goal is not only to bring the everyday practices of Judaism to life but to initiate his disciples into the ethereal realms of the spirit. His best-known works are Chovos Talmidim (translated to English as "A Student's Obligation" by Micha Odenheimer) and Hachsharas Avreichim. But perhaps the clearest exposition of his approach may be found in a small booklet entitled Bnei Machshavah Tovah. These works began attaining popularity during the author's lifetime and have more recently inspired a growing number of devotees in Chasidic yeshivos, especially in Israel. However, like everything else in Torah, one can learn only so much from texts. Even since the Torah was given at Mount Sinai, the tradition has been passed down from master to disciple, and especially in this inner dimension of Torah, one must find a teacher. Some Chasidim would argue that this master-disciple relationship is even more important than the particular school to which one belongs. The Gemara tells us to search for a teacher who is comparable to a "malach Hashem Tz'vaos," "an angel of the Lord of Hosts". The question is: where can one find such a teacher? And how can one know if he is making the right choice? The answer I received from my teachers is that you have to be willing to search as long as it takes -- and, like everything else (and maybe more than everything else), you have to pray for Divine assistance. A wonderful summary. Thank you. As always, inspiring and very special. Thanks for posting these. Altough we can understand the ideas that formed the different aproaches in chassidus, the result may become [to the serious student of chassidus] a life of contemplation about ``how`` rather than ``why``. It is important to understand how these ideas bring to fruition in the world at large, however when doing so it is of utmost importance to understand why they do so. There is a saying from Kotzk that a true chossid does not ask himself ``how`` rather ``why``. Although this may be strictly the aproach of Kotzk on a personal level, it may be used as a general tool when understanding the effects of any Chassidus in its attempt to affect the life of an individual. If one is contemplating how a chassidus was formed the goal must be - ``why`` is the ``how`` important. An astoundingly informative and insightful post. Thanks. Rabbi Sears has done an excellent job here with this summary it is very good and I recommend it to all serious spirituality seekers.